Super Junior 5th Album! 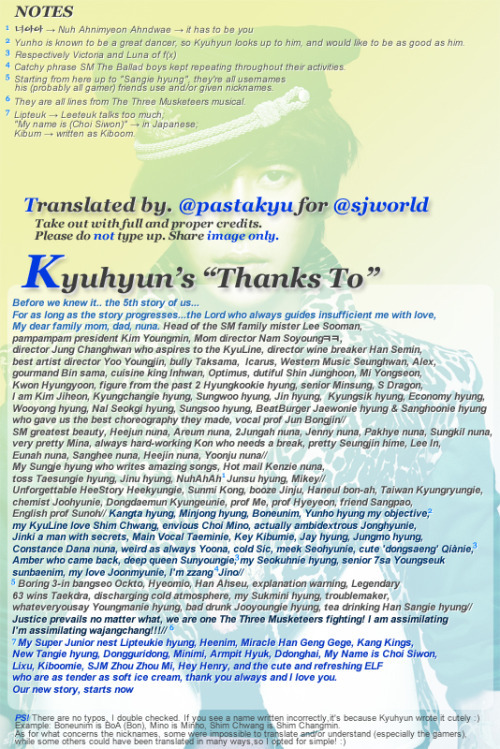 Kyuhyun 'Thanks To' Message!! 5th jib is officially out yesterday!! yayyy! i already read kyuhyun message!!! it's such a happy morning today!